Talent scouting, location scouting, and automotive photography for Toyota marketing department's social media division across a span of three years. 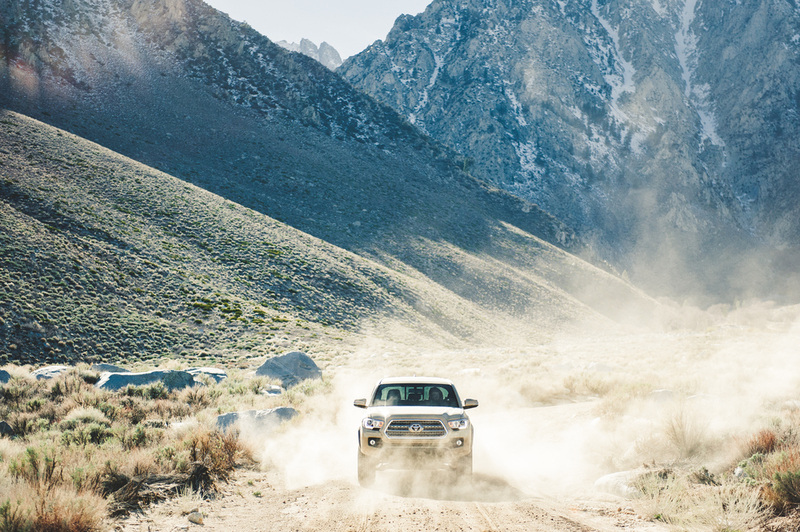 In need of a turnkey solution for engaging with their outdoor enthusiast customer base, the marketing team at Toyota inquired about developing a multi-day shoot across three diverse locations featuring their Tacoma TRD 4x4 Off-Road and 4Runner Limited. Given a short project lead time, locations were determined by referencing aerial views, image archives, and topographical maps. Production spanned 3 days and entailed over 700 miles of driving between the three shoot locations, which varied from the central coast of California to the high desert of the Eastern Sierra. Precision driving was provided by professional driver Ryan Millen. 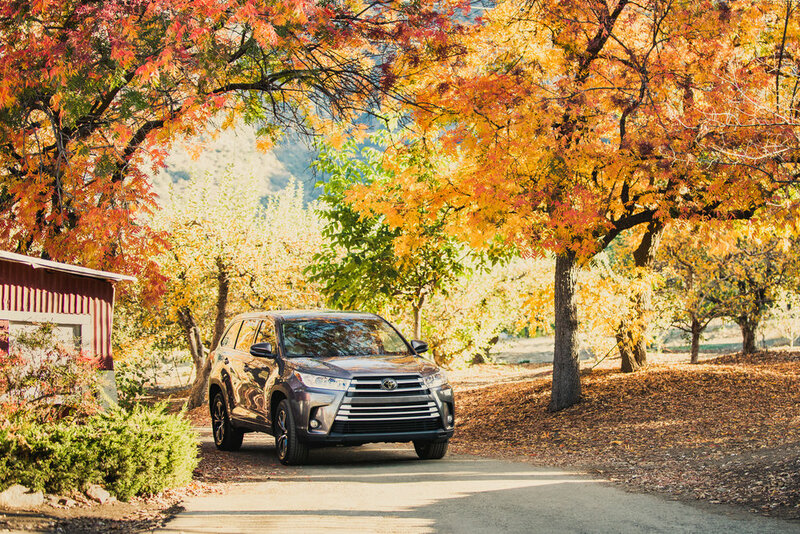 Anticipating the coming autumn and winter seasons, the social media marketing team at Toyota reached out to develop seasonally-relevant imagery of their 2017 Highlander. We worked with two apple orchards and a Christmas tree farm to provide appropriate backdrops for producing a narrative-based collection of images. The team at Toyota wanted a mix of exterior and interior images, so a shot list and shoot schedule were produced that would best optimize available light and their specific needs. 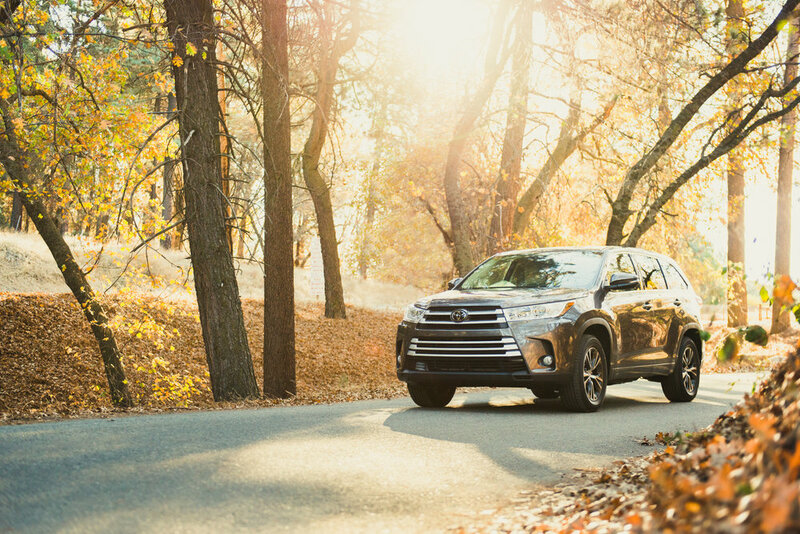 The images performed well on Toyota's social media channels, engaging their follower base right before the automotive retail industry's busiest time of year, the last two weeks of December. 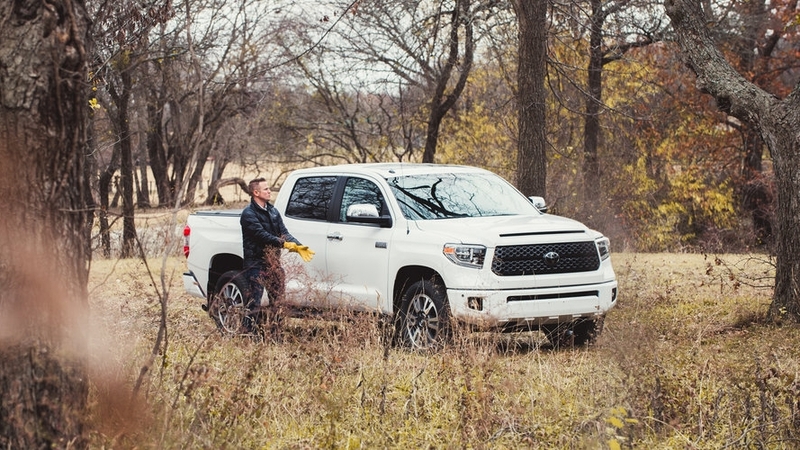 Toyota's social media department reached out for a third collaboration, seeking once again to develop content for seasonal use on Toyota USA social channels, but this time in the Dallas-Fort Worth area to help Toyota establish their presence in their new American headquarters in Plano, Texas. 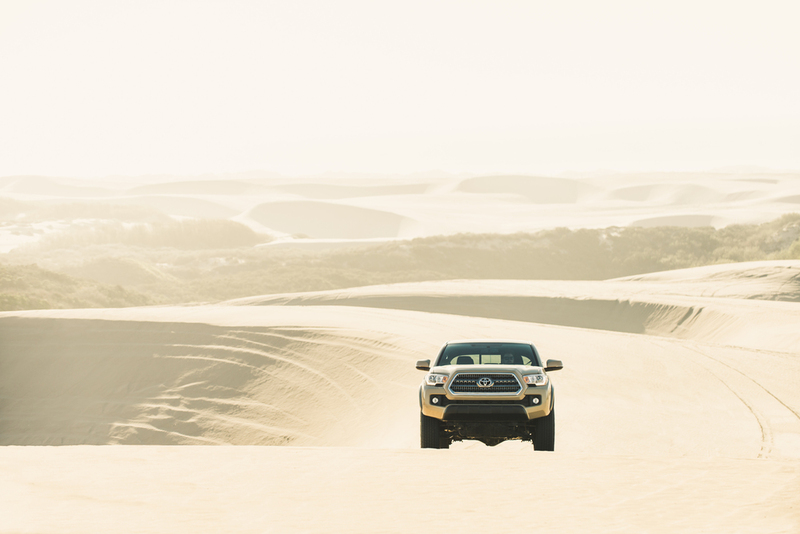 We worked collaboratively to cast talent, brainstorm locations, and create final concepts for the shoot that would highlight both the Tundra and RAV4 Adventure Grade. Shoot production occurred over one day in four locations in the vicinity of Celina, a rural Texan town. As there was only one day available for shooting, we created a tight shoot schedule to ensure our ability to execute our whole shot list in the time allotted.